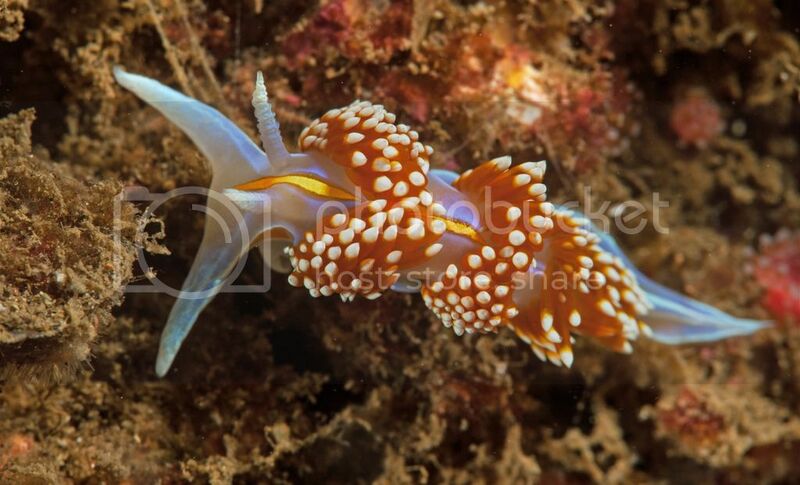 Historically, various nudibranch subjects from a large geographic range were classified as H. crassicornis. Recent molecular, morphological, and populations analyses revealed that there are actually three distinct species within the genus Hermissenda. One species, H. emurai, occurs in Japan and the Russian Far East. The two other species that were differentiated by DNA studies are also different morphologically and inhabit separate geographic ranges for the most part. 1. 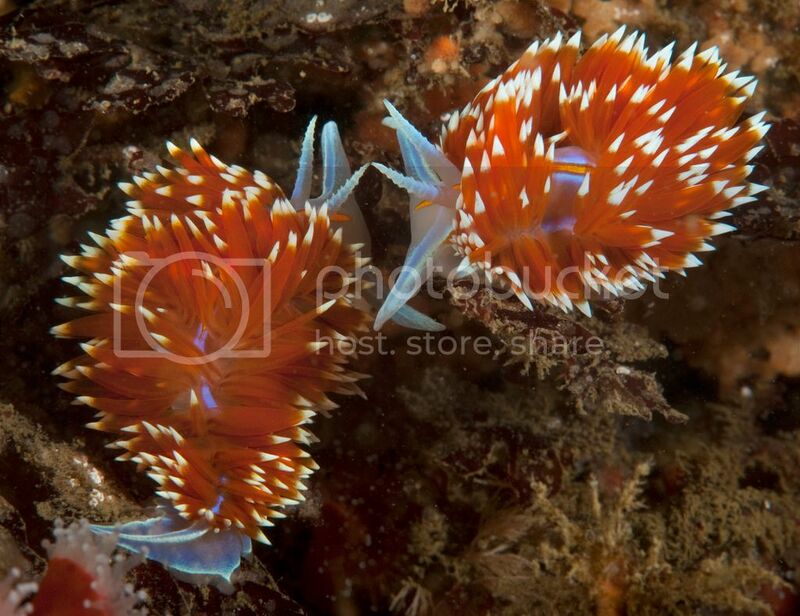 Hermissenda opalescens is found from Northern California to the Sea of Cortez. 2. Hermissenda crassicornis ranges from Alaska to Northern California, but it should be noted that crassicornis and opalescens overlap in range between Point Reyes and Bodega Bay. 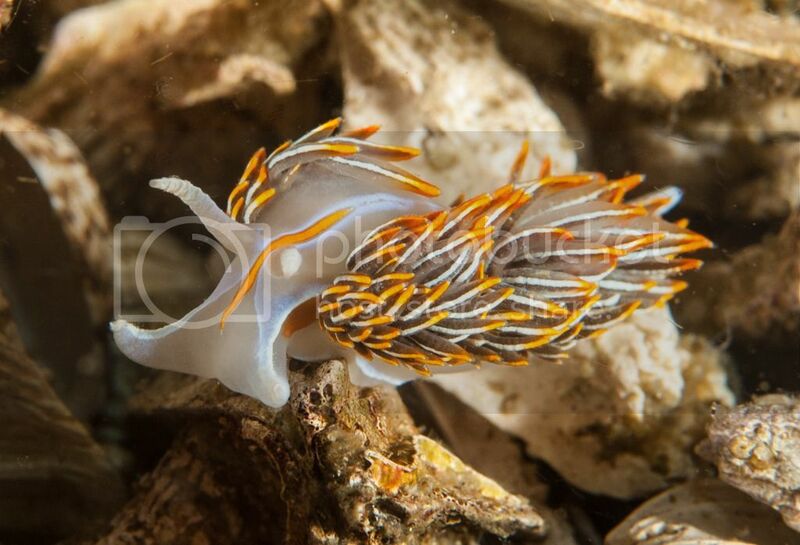 The original taxonomic name has been restored to this nudibranch; H. opalescens was first assigned to a specimen from San Diego in 1863. 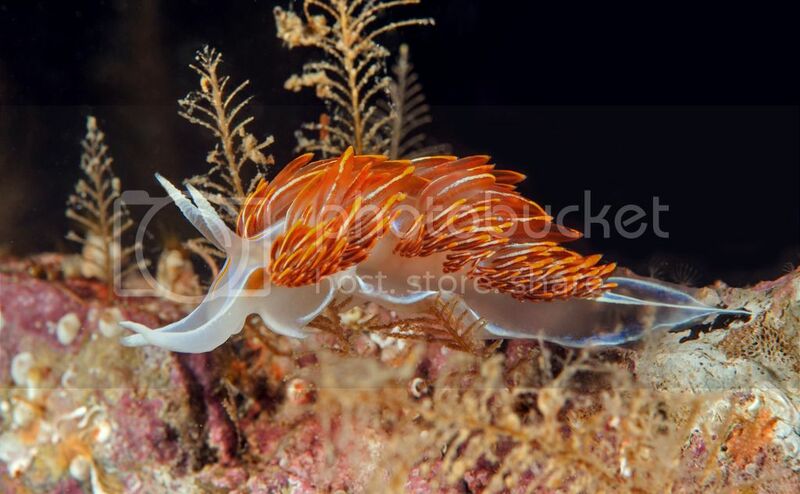 The easiest way to distinguish crassicornis from opalescens is the longitudinal white stripe on the cerata of crassicornis, while the cerata of opalescens have white tips but no white stripe. 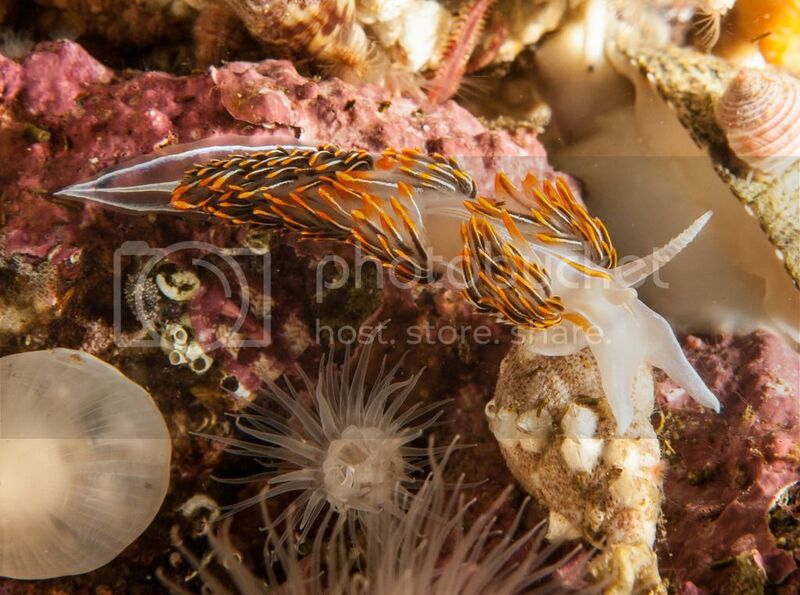 Hermissenda crassicornis from British Columbia. Originally described in 1831 from Sitka, Alaska. 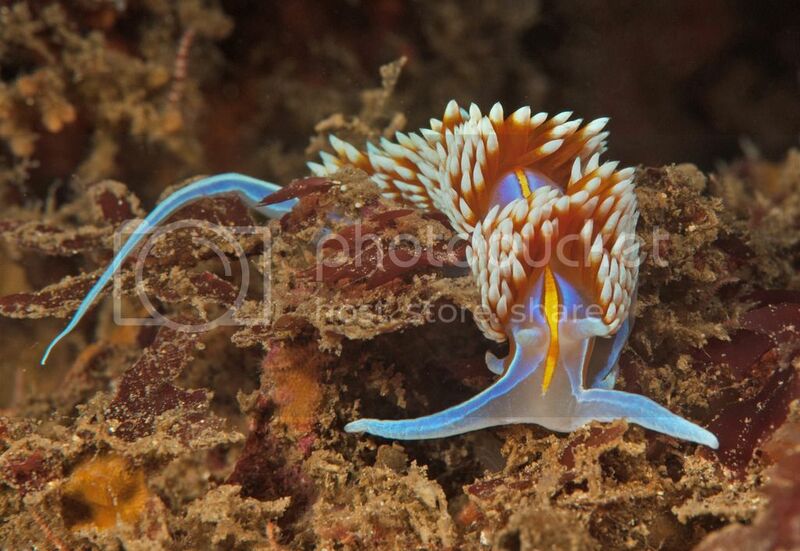 More photos of the real Hermissenda crassicornis can be found on Kevin Lee’s site.